There is a lot of IoT and IoE questions going around and now, and starting from our HANA4IoT event at Palo Alto on November 11th, 2014- I have been asked more than once to clarify the difference between IoT and IoE. 'Big data is great, but it is worth noting that without big judgment + big intelligence, presenting a lot of data or reports at the end of the day is worth nothing unless we also present business benefits and business intelligence from that data. At an executive level Stage 1 IoT was a term coined by Kevin Aston in 1999 when RFID was considered a pre-requisite for IoT. Over time it came to include Bar Codes, NFC’s (Near Field communications), QR codes, and digital watermarking. However, most of these were not required to be active (real-time) communication devices. At this stage of maturity the goal was to only have a miniscule, machine readable, unique identifier. Using this technology continuous inventory management could become universal but only in a hub and spoke design, i.e. each device communicating to a central hub. At the same time, some organization's are also postulating their own version of IoT. For example GE is postulating IIoT (Industrial Internet of Things), while other people can come with their own extension of IoT. The fundamental IoT still remains constant other than now we are talking of networked and connected identifiers where necessary. At an executive level IoT simply provides connectivity, it provides data exchange, but little more. IoT can mainly do is collect and network data. From the IoE point of view IoT is a dumb connectivity with little interconnectivity between the networked devices with any degree of intelligence. Any prediction or prescription is undertaken on a disconnected application server. Stage 1 IoE is a term coined by Cisco in 2013-14. As the global leaders in enterprise network and communication systems Cisco is in a unique position to see the SMART, connected enterprise more clearly than most companies can. IoE is the ubiquitous connection of everything to everything with a goal of creating what I am terming as the next QSA Enterprise. QSA stands for Quantifiable and Self-Aware. IoE on the other hand evolves the IoT environment with intra-connectivity and delve into the domain of sensor and device intelligence. For example our smart TV is just smart but nothing more. It is not intelligent. If IoT is the cradle for the ideation of connected physical things, IoE is the nursery where intelligent applications enable actual business benefits via inter-connectivity. The long-term goal for IoE could be building the autonomous and self-aware products, sensors and enterprise of the future. It will lead us into the domain of QSA enterprises. 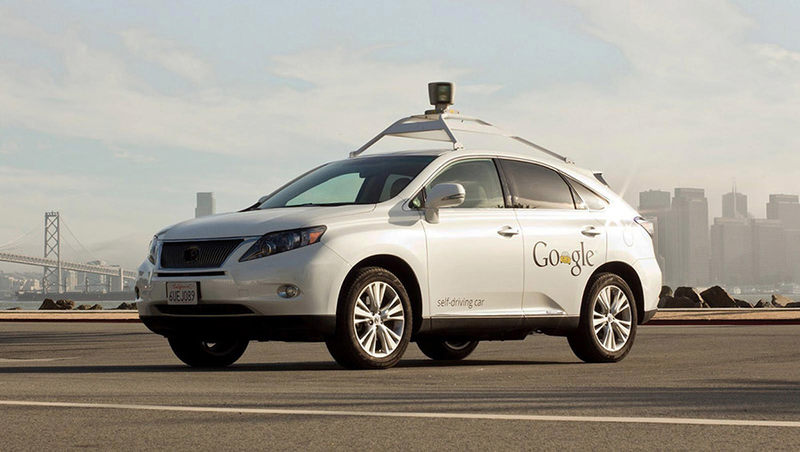 The best example of Quantifiable, Self-Aware product is the Google self-driving car. Once thought to be the humor of an eccentric CIO, this concept is today one of the major disrupters in the auto industry. These cars are already on California roads and they promise a future where there are zero accidents or deaths due to auto accidents. It is already being predicted that 20% of cars by 2020 will be self-driven. For example Nascar racing cars today have over 2,500 networked devices that continuously communicate to their pit support teams and to Nascar administrators- resulting in a 45% decrease in racing accidents. Keep a lookout for the Apple announcement of their own version of a smart self-driving car. However let’s get back to defining IoT and IoE as a starter. IoT: Our interpretation of IoT includes mostly internal dumb/smart unique sensors, that are data-generators, networked that may be communication enabled devices on an enterprise secure-Intranet. The key in this definition is Enterprise Intranet as security is a major consideration in this environment. So all streaming or data collection from Manufacturing, what is being projected as M2M communications, will happen through the enterprise and partner intranets. So IoT is the interconnection between enterprise assets, products and logistics. So when GE has logically come up with IIoT, or Industrial Internet of Things we can assume this is IoT on their and partner intranets be it collaborative design, a manufacturing shop floor, component networked devices, a jet engine, a power turbine or other closed loop device communication of self-data to a central hub- but DO NOT communicate with each other, i.e. one engine to another, or one engine to the service center. IoE, on the other hand, is the next evolutionary step from IoT, and includes all internal and external intelligent, data-generating, network and communication devices with a small addition - autonomous and interconnected smart intelligence. In our example of GE we could have a refrigerator or a washing machine in our home with networked communication devices – these ‘external’ devices would communicate with their owners and GE through public networks in most cases, it would communicate with the grocery store to deliver items that are necessary and, it would identify every item in the fridge along with expired items that must not be consumed. It will continuously interact with public, hybrid and shared clouds. It will require something like the Cisco Intercloud, to truly leverage its quantifiable self-aware intelligence, along with very secure communications between the various clouds as our QSA environment will need to interact various clouds to accomplish their intelligent tasks. IoE would need self aware intelligence to identify an intrusion and either lock itself off or auto-block the intruder. It may may need to harmonize data like local weather, ethnicity, average earning, GPS location, into its self-aware intelligence and enterprise analytics. This scenario requires IoE data that would reside in various clouds across the region or the planet and IoE intelligence to prescribe next actions autonomously. A sound technology that interconnects between these clouds within clouds is critical from a reliability, data governance, security and connectivity point of view. The visualization above defines our, Scott Feldman from SAP and I, interpretation of average IoT and IoE domains. As with any enterprise there are three partners that one deals with, i.e. vendors, we the company and customers. Let’s take a petrochemical company as our example. The Upstream represents their own, and partner - drilling licenses, contracts, areas, rigs, platforms, inbound logistics, refineries, and such. Upstream is where the raw material and semi-finished feed into the enterprise main operations. Upstream could be leveraging external clouds for parts, service, weather and such. Internal secure servers for production, administration, service, support and logistics. Each of these upstream processes are candidates both for IoT setup if owned by the enterprise or their partner organization, i.e. within the security of the enterprise or partner firewall and domain. There is also IoE potential for integrating the same sensors in an intelligent interaction and to public domains for weather, floods, threats like riots, terrorism, etc.. for intelligent prescription analytics. The Midstream is represented by the enterprise itself. This would include inbound raw and semi-finished materials, manufacturing, storage, intra-company logistics, finance, sales, planning, and the overall administration and management of the enterprise assets and resources. According to a Gartner 2012 report 98% of enterprise reporting is currently undertaken only in the Midstream domain, where as 95% of business impacts come from outside, i.e. supply chain and/or customer perceptions. As of today it is fair to state that 90% of SAP enterprise customers have a firewall, represented by the mesh in our visualization above, that only encompasses their self-Midstream block, i.e. the blue box. Some companies extend their firewall to include Upstream and Downstream data access mainly with secure tunnels to partner systems. Still fewer companies have joint firewall standards that extend towards both sides of the value-chain EDGE defined above- this is the firewall we are visualizing above. The midstream typically deploys bare-metal application, data and network servers that are maintained by the enterprise or their hosting partners on their behalf. Companies are now starting to move towards a cloud environment. Most enterprise customers are initially taking their non-production systems to the cloud but prefer to keep their Production systems on premise. This slowly proceeds to a hybrid cloud models and finally to moving all their applications to a cloud environment. The Midstream could be leveraging internal data generating sensors such as found in manufacturing processes, machineries, service and spares, for parts, weather and such. The maximum gain in the midstream is to rethink your business model, i.e. what are you actually need to ensure true business benefits that can be benchmarked and audited. Kodak, Fuji and Agfa thought they were in the business of selling films whereas the customers were buying images. The disruption came from digital imaging. Telex thought they were in the business of replicating a type-written message, whereas the customers were buying copies of documents. The disruption came with the fax machine and then with scanners. Each of these midstream products are solid candidates for SMART IoE integration into the digital world that is exploding around us. Each of these midstream processes are candidates for IoT as they are owned by the enterprise themselves. There is also exceptional IoE potential for integrating to public domains for weather, floods, threats like riots, terrorism, etc. for downstream analytics and logistics, product positioning, customer emotions, digital marketing and revenue generation on the upstream side. In the IoT and IoE domain, IoE iscurrently replacing the IoT,s lowly at first, asthis isnew territory. 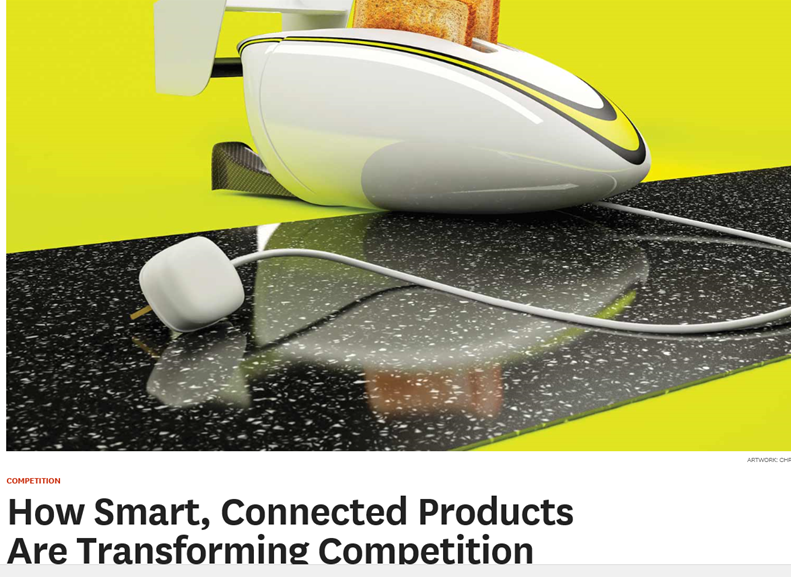 However, with Michael E. Porter publishing on ‘How Smart Connected Products are transforming Competition’. More and more companies are enabling their products, and user-experience by building connected and intelligent applications for our complex world. IoE is not only changing how we interact with the digital world but also the very definition of proactive service enablement towards a zero-downtime future. Just like DVD disrupted Vinyl only to be disrupted by iTunes, digital photography disrupted the photographic film industry, Amazon disrupted book stores. Similarly, IoE is predicated to disrupt many traditional industries with SMART, Self-Aware and communicating devices. Our goal is to simplify the business benefit roadmap from vision to routine in the most effective roadmap. SAP projects IoT4HANA potential as a $220 billion market in the next decade, while Cisco predicts this to be a $19 trillion market. So no matter how you look at IoT or IoE we all have to agree this is far bigger than any of us thought. So what’s in your strategic pocket to save your enterprise in this inevitable future?